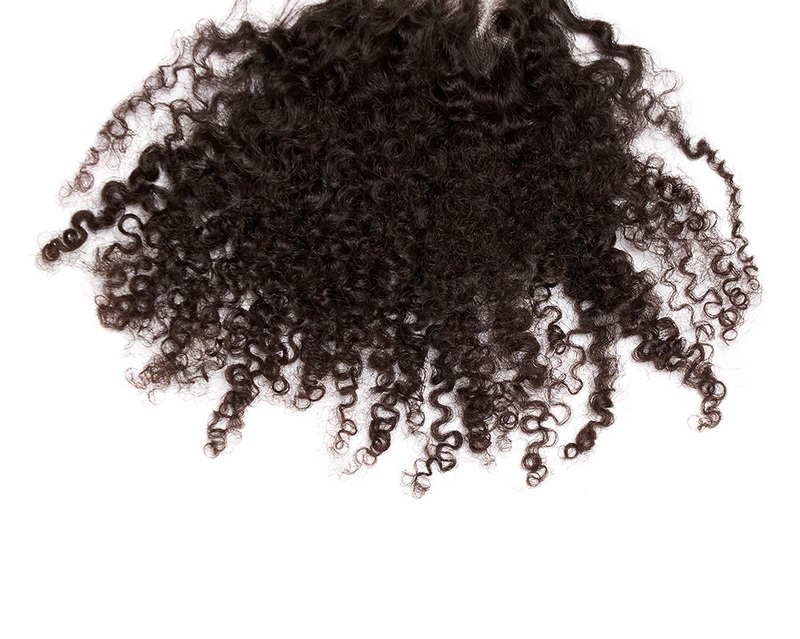 Power Plus is our newly added tighter curl pattern with a similar look to our original Power curl. 100% Virgin Indian curly hair, that has been steam pressed, ethically sourced and manufactured in India. Power greatly resembles 4a curls for maximum volume and fullness. Power Plus can be straightened, but is not recommended for long lasting curl preservation. The hair can be dyed, bleached and straightened with a recommended heat of 425. Get Power Plus in a crown, bundles, or individual frontals and closures below. Try our Power Plus Crowns in Natural Dark Brown with the highest level of hair quality built to last. Choose your crown with a frontal or a closure to best fit your needs. All lace crowns fit the average size of 21-22 inch circumference. 4 combs are attached in the top, sides, and back of each unit for security. An adjustable elastic band is in the nape of the crown for customizable sizing. Lace is tinted medium brown and hairline is gently customized for each unit. Style 0ur Power Plus hair exactly as you please by getting individual bundles in the length you desire.